We are located in beautiful Victoria, British Columbia Canada, a city filled with beautiful old world stained glass and home of the world famous Butchart Gardens, Rogers Chocolates, and Craigdarroch Castle. 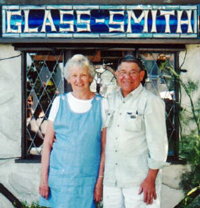 Founded in 1967 by Arnold and Kathleen Smith, Glass-Smith & Company is still family owned and operated. "Arnie" got his first taste of glass working at Pittsburgh Paint & Glass. It wasn&apos;t long before he set up a shop in his garage. 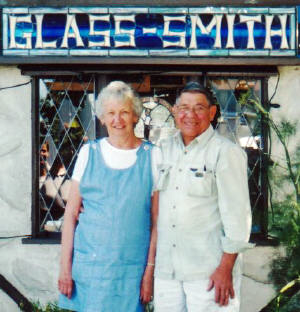 What started as just a job with a dream attached became a reality when he and Kathleen built Glass Smith together. Every family member knew how to cut glass and actively helped make Glass Smith what it is today. We have earned a reputation for honesty and are well respected among all of our suppliers and customers. We would like to extend to you a warm welcome and we hope that you enjoy our website.